As important as it is to see what beneficial ingredients your skincare products contain, it's just as pertinent to be aware of what doesn't make it into the formula. 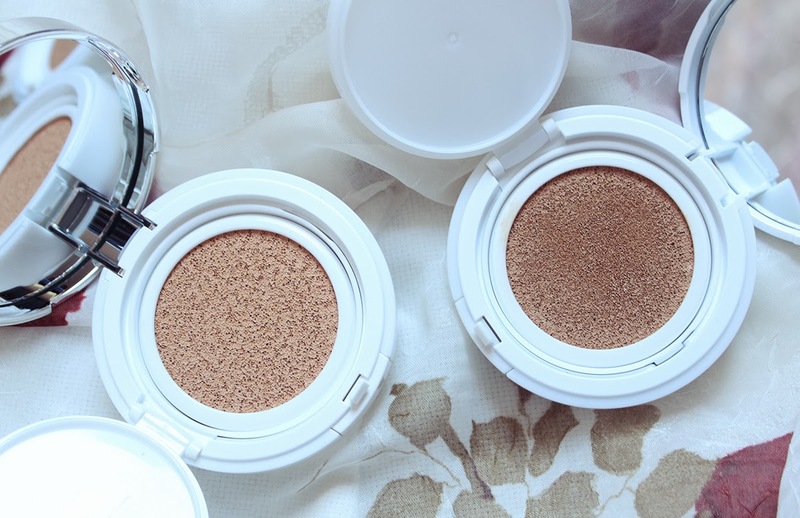 A host of ingredients can wreck havoc on your skin so it's great when companies explicitly leave out these common irritants. 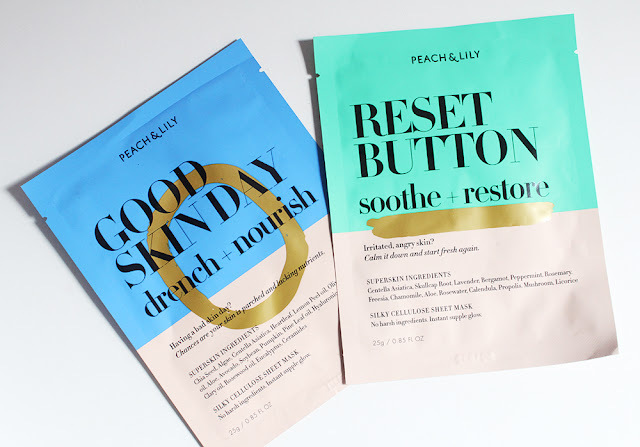 Case in point: the new-ish Peach & Lily sheet masks. With three variations that address specific skin needs (hydration, soothing and plumping), these masks were specifically concocted to be gentle yet effective. Boasting what Peach & Lily calls "superskin ingredients", you won't find synthetic fragrances, synthetic dyes, alcohol, parabens, sulfates, mineral oil or formaldehyde in these masks. I purchased the Good Skin Day mask and the Reset Button mask online from Macy's where you can get free shipping on all beauty products. These retail for $6 a piece ($15 if you buy a set of all three versions) which I think is quite reasonable for the U.S. market. I've seen sheet masks go into the $25 range which is a little crazy considering these are single-use products. Peach & Lily not only did a great job selecting ingredients for these sheet masks but also sourced some really awesome mask material. The "cellulose sheet material" feels like a soft cotton and is very comfortable. It fits the contours of my face very well though your results may vary depending on your face structure. I used these masks on consecutive back-to-back nights, starting with the Reset Button mask. 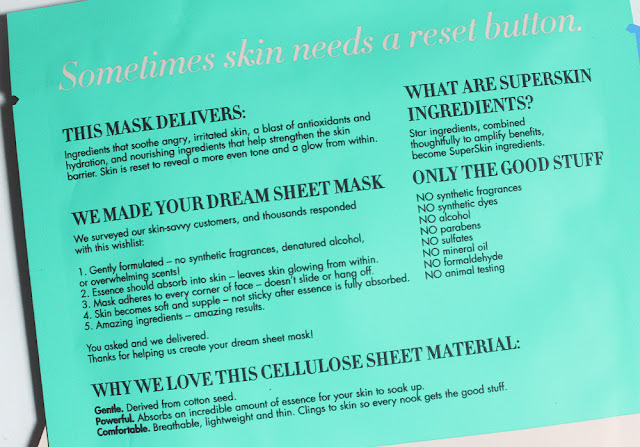 I had some inflamed acne spots and healing scars at the time and the Reset Button mask did not irritate my skin at all. The mask had a very light scent which reminded me of tea tree and herbs and it wasn't overwhelming at all (big plus in my book). My skin felt really nice after using this sheet mask, though I wished it could have been a little more moisturizing for that glow factor it promised. 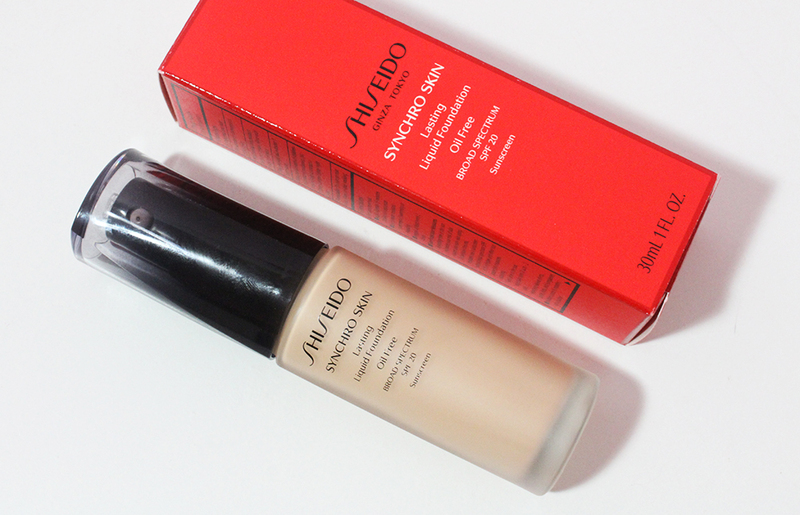 My skin the next day was a tad flaky due to the weather so I popped on the Good Skin Day mask to see how it would fare. This mask had a slightly different scent which I can't put my finger on exactly but I enjoyed it more than The Reset Button. This mask definitely gave my skin the drink of hydration it needed. My skin the next day was noticeably more moisturized and the flakes were gone. No pilling makeup, hurray! I'm really pleased with these sheet masks and think Peach & Lily did an excellent job. I'm also a fan of the packaging of the masks. My only regret was not scooping up more of these during Peach & Lily's Black Friday sale this past week before they sold out. Here's to hoping these come back in stock soon but in the mean time, you can get them from Macy's like I did!